One of the most noticeable things about Bulgarian cuisine, is the choice of ingredients - Bulgarian cuisine makes use of some quite distinctive ingredients such as sirene (a white brine cheese that can be made from cow's, goat's or sheep's milk), and kiselo mlyako (literally "sour milk") which is a type of yoghurt. Shopska salad - A traditional Bulgarian salad made using diced vegetables, such as roasted or raw peppers, cucumber, tomatoes, and onions. The salad is served topped with diced or grated sirene (white cheese). 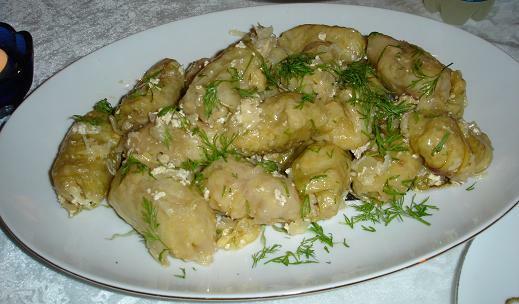 Lyutika - Lyutika is Bulgarian salad relish. It is made using roasted peppers, tomatoes and onions, which are finely crushed using a pestle and mortar. Flavor is added using garlic and parsley, and it is sometimes mixed with sirene (white cheese), youghurt, hard-boiled eggs, or pieces of cooked chicken. Shkembe chorba - According to some Bulgarians, shkeme chorba is a national tradition, but others find the dish somewhat distasteful and even vulgar. Shkeme chorba is infact a tripe soup made from the stomach lining of cows, mixed with milk, and then seasoned using vinegar, garlic and chili peppers. There is also a legend that the soup can help with hangovers. Tarator - Tarator is a cold soup, often served chilled or even with ice. It comes from the warm regions of Bulgaria lying on the Black Sea coast. The soup is made using yoghurt, cucumbers, nuts, vegetable oil and water, and is flavored using garlic and dill. Elenski but - Dry-cured ham, that comes from Elena in the northern part of Bulgaria. Soujouk - A spicy dry-cured sausage made from ground beef. It contains a lot of fat, and can hence be cooked in its own juices without oil - but it must cooked, as it can not be eaten raw. Lukanka - Another type of spicy sausage. Lukana is made from pork, beef or veal. The sausage is prepared in a dried cow's intestine, and is hung to dry for up to 3 months. After the drying process is a complete, the sausage is then pressed, and a white fungus is alOnce dried it is pressed, and a white fungus is allowed to grow on the sausage. The fungus is removed before eating the sausage, and Lukana is eaten cold, cut into thin slices. Sarma - A rolled leaf, filled with a spiced mixture of rice, ground meat, and finely chopped onions. Banitsa - A savory pastry containing eggs and sirene (white cheese). Popara - Popara is a traditional Bulgarian dish made using dry (or even slightly stale) bread. THe bread is cooked with tea, milk or water, some butter and sugar may be added, and then kajmak (clotted cream) or sirene (white cheese). Gyuvetch - Gyuvetch is a casserole made using diced beef, eggplant, onions, okra, peppers, and tomatoes. Selska turshiya - Pickled vegetables; cauliflower with green onions, green tomatoes, cabbage, carrots and celery. Tsarska turshiya - Pickled vegetables; cauliflower with carrots, celery and red peppers. Halva - Halva is a sweet made using sesame-seed or sunflower-seed tahini. There is also another version of the sweets from semolina ("white halva"), and traditionally before Lent, a version of Halva is made nusing sugar. Garash - Walnut cake. 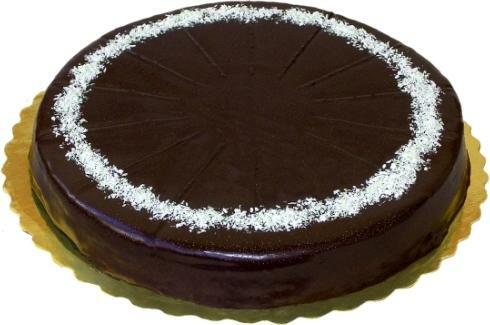 The cake is frosted with cream and bitter chocolate, then covered with chocolate icing. Kozunak - Sweet bread with butter, milk, sugar, eggs, and raisins, and flavored with lemon zest. Discover the delicious and intriguing cuisine at the heart of Eastern Europe Cooking by leading cookbook writer Silvena Johan Lauta (also known as Silvena Rowe). Everyday Vegetarian Recipes the Whole Family Will Love! For anyone following a vegetarian diet - flexitarians who adopt plans like Meatless Mondays - as well as committed vegetarians and fans of Clean Eating here is a delicious collection of easy, meat-free mains for everyday. 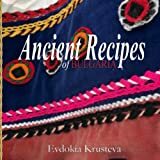 Inspiring and practical Vegetarian Cookbook: Delicious Meatless Breakfast, Lunch and Dinner Recipes from Bulgaria features some of the most delicious and easy vegetarian recipes on the planet! They can be served on their own or as side dishes with some meat. If you’re looking for quick, healthy and nutritious meat-free meal ideas for you and your family, this book is for you! Tempting recipes explore the best of Eastern European cooking from Pork Schintzel and Veal Escalopes to Torte Varadzan, all clearly explained in step-by-step pictures. 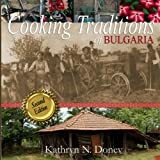 Discover the rich and diverse cuisines of Russia, Poland, the Ukraine, Germany, Austria, Hungary, the Czech Republic, Romania, Bulgaria and the Balkans. 185 authentic dishes are made easy. A collection of mouth watering recipes from around the world, that just happen to be meat free.